By Agus in WordPress. Updated on November 26, 2018 . Crowdfunding is a great way to get funding without the hassle and red tape delays. All you need to do is create your product, and play with your creativity while you’re at it. Today, there are many great many ideas that came to be with the help of crowdfunding. Pebble had its start there, raising $10 million from more than 68,000 backers, way before smartwatches got the same treatment from the giants. Most people would take their projects straight to these popular crowdfunding sites, but if you want to run your personal crowdfunding campaign on your own website though, you can, with WordPress. WordPress is extensible through themes and plugins, and crowdfunding is one of the many features you can give your site. 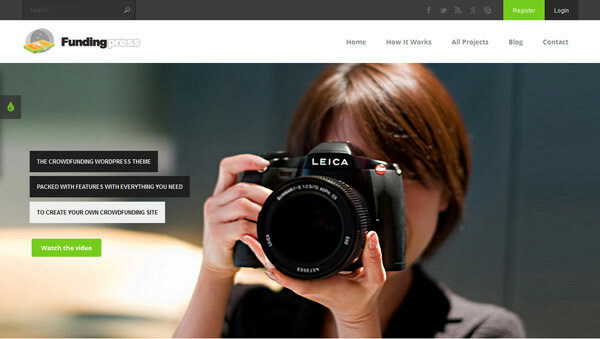 Here we have put together 7 WordPress Themes that are you can build a crowdfunding website with. When talking about crowdfunding we cannot overlook this particular theme. 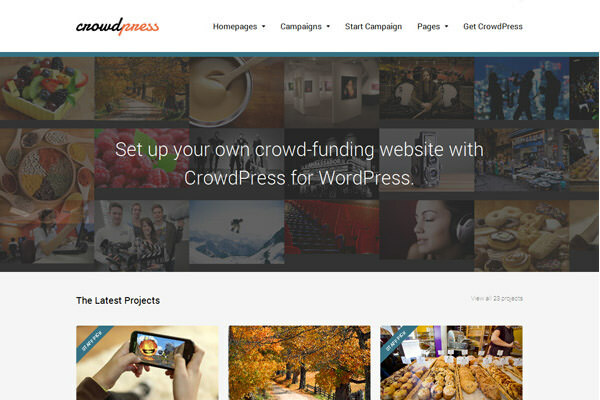 CrowdPress is a theme built by IgnitionDeck, which has recently acquired WordPress’ first crowdfunding plugin called Fundify. This theme integrates very well and works out of the box with Fundify. Building and running your website takes just minutes. This theme provides almost everything you need for a crowdfunding site. You can start create campaigns by filling up info about the campaign description, amount goal, campaign period, and make reward levels based on the amount of donations. What’s interesting is that with this theme, users can make they own campaign and submit it to your site. FundingPress is a theme for building crowdfunding sites similar to Kickstarter or Indiegogo. Users will be able to create their own campaign from the frontend. It is easy to use and users can easily monitor the progress of their campaign. This theme also handles the funding process. When a pledge is made, the admin will be able to see who made the pledges. We can also set whether the campaign will accept all the funds made regardless of whether the campaign reaches the funding goal or not. 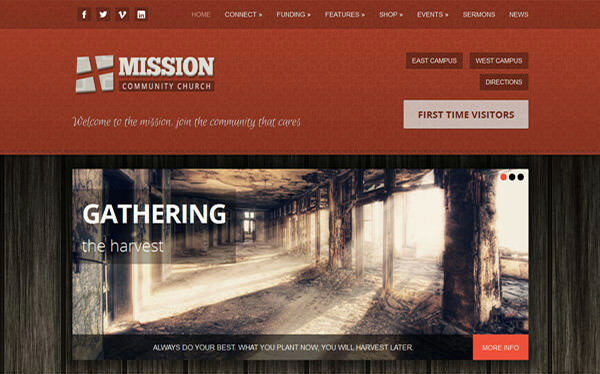 Mission is a church theme that offers all the things features like podcasting, calendars, online commerce, and fund-gathering. Like GIG, this theme uses the IgnitionDeck Plugin to enable crowdfunding functionality. Need to start a fundraiser? Create a project title and description, determine the amount you want to raise, add a touch of video or images to showcase the purpose of the fundraising, then publish to start raising funds. 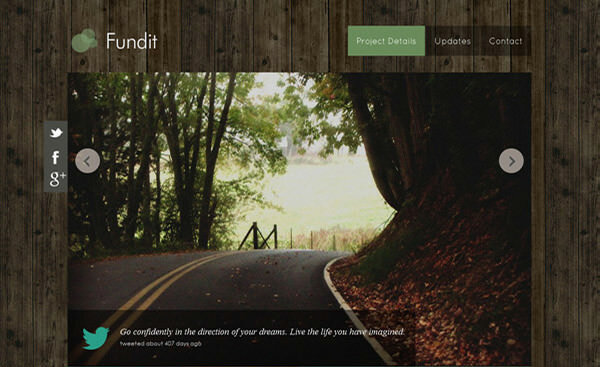 If you are an artist, a musician, or a film maker you probably will love this theme, Fundit. This is specifically designed for professionals who need to raise funds for arts or music projects. It’s a simple single-page theme with the corwdfunding facilities built-in. Users can easily choose how much money is going into your campaigns or projects, and what they get, before proceeding with their payments. You can use the funds raised overall, even if funding does not reach 100 percent.